Everyone should suit up for their selfies. 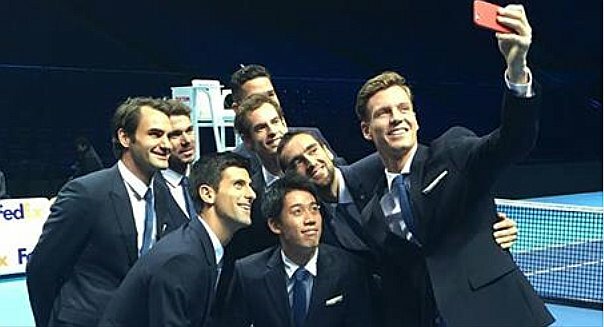 This entry was posted in Celebrities, Commentary, Humor, Life, Love, Photography, Sports and tagged ATP, ATP World Tour Finals, celebrities, commentary, hot, Humor, life, London, love, Novak Djokovic, photography, proof positive, selfie, serve, Sports, suit up, suits, tennis. Bookmark the permalink.